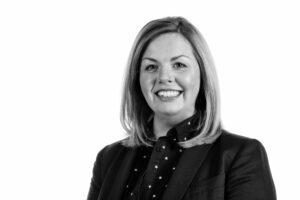 Laura qualified as a Solicitor in 2007, having obtained an English Language & Literature Degree from the University of Manchester and thereafter completing both the Graduate Diploma in Law and the Legal Practice Course at Manchester Metropolitan University. Laura spent the first 12 years of her career in Manchester, having trained with a large national practice before moving to global law firm DWF LLP. As such, Laura has wide experience in all areas of civil litigation and employment law; having acted for both insurers, businesses and individuals and represented clients at the Court of Appeal. Laura joined the Dispute Resolution team at North Ainley and deals with all manner of civil litigation and employment issues, to which she is eager to bring her experience and commercial, no-nonsense approach to a more local clientele. Laura lives locally with her husband and two young daughters where she plays an active part in her village and school communities. She enjoys being out in the local countryside and travelling both home and abroad.